Bernard "Bernie" E. Reicks, age 89 of Cresco, IA. died Wednesday, March 27, 2019 at Wellington Place in Decorah, IA. Bernie was diagnosed with cancer 12 years ago. Mass of Christian Burial will be held Monday April 1, 2019 at 11:00 a.m at Notre Dame Parish in Cresco, IA. Burial will be in Calvary Cemetery Cresco, IA. 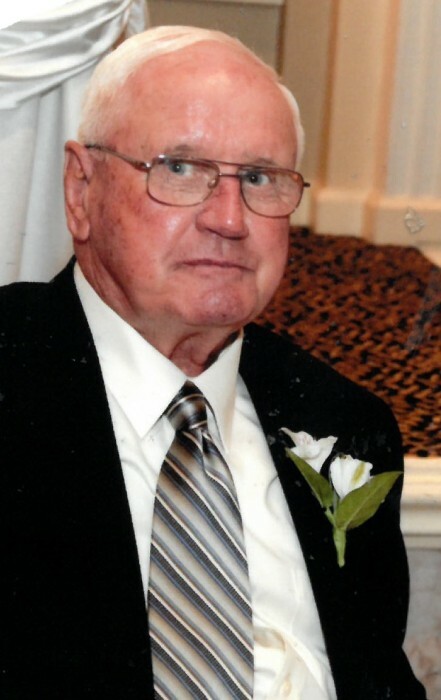 A visitation will be held from 3:00 to 6:00 p.m. on Sunday, March 31, 2019 at Hindt-Hudek Funeral Home in Cresco with a scripture service at 6:00 p.m. Visitation will continue one hour prior to the time of service Monday at the church. Bernie E. Reicks was born on September 15, 1929, the son of Anton and Mary (Leferink) Reicks in Cresco, IA. He graduated 8th grade. On September 5, 1951, he was united in marriage to Ruth J. Tupy at St. Wenceslaus Catholic Church in Spillville, IA. Bernie was drafted into the U.S. Marines in 1952 and served until 1954. Bernie and Ruth made their home at Camp Lejune, NC during their military service. Together, Bernie and Ruth farmed for 41 years west of Cresco before retiring to Cresco in 1992. They enjoyed being snowbirds traveling to AZ and FL. Fishing and gardening were his favorite hobbies. They also had a trailer in Lake City, MN that they enjoyed in the summer. Bernie moved to Wellington Place in Decorah, IA assisted living in May 2018 and then transitioned over to the nursing home in September. He was presented with the Quilt of Valor by the American Legion which was made by a fellow marine. Bernie was proud to receive this honor. He is survived by his children; Steven (Sandy) of Cresco, Deb Reicks Carolan of Rochester, MN, Connie (Dan) Reicks Settergren of Fort Walton Beach, FL, Donna (Don) Reicks Friedhoff of Elma, IA, Mark (Mary) of Cresco, Kevin (Darla) of Ridgeway, IA, Tony of Cresco, 13 grandchildren, 20 great-grandchildren, 1 great-great grandchild, brother Irven (Norma) Reicks of Cresco, sister Edith Bigalk of Cresco, sister-in-law Rita Drilling of Sandstone, MN, brother-in-law Neil Kuennen of Waucoma, IA. Preceding him in death are his wife Ruth in 2016, his parents, brother Leonard, sister Rita Hruska, sister-in-law, brothers-in-law, a nephew, and a niece. In lieu of flowers, memorials are preferred to Winneshiek Medical Center Hospice or HOCA. Well done, you are relieved of duty; we will take it from here, Marine. Go in peace.